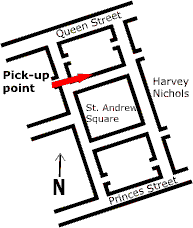 For day tasks we meet on the north side of St Andrew Square, Edinburgh, at 9.30 a.m. sharp. 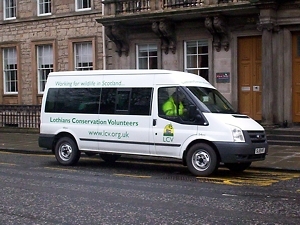 Look out for our white minibus. If you have been on a day task with us before and are now coming on a residential then we will let you know when and where we will pick you up.